I'm at that age where I get tired quite easily, and can't seem to stay up as late as I used to in the past. I find myself usually in bed by 10 or 11 pm every night, as I need my beauty sleep in order to function the next day. I'm in my mid 30's with my 35th birthday approaching in a little over a month from now. With that said, I'm starting to notice my body and skin changing. My once smooth and glowing skin, has somehow turned slightly dry and slight wrinkles forming. The main area that I notice the most, is the eye region. It's become harder to cover the dark puffy circles under my eyes, and the laugh lines seemed to pop out over night. I recently had an opportunity to review an Aloe Super Youth Eye Cream by a company called Yalmeh. I've tried many other eye creams in the past... many were okay, however, the ones that worked the best always felt sticky on the skin. 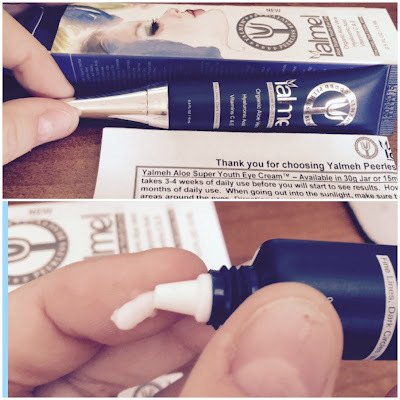 I was fortunate to get the opportunity to test out Yalmeh's eye cream product for a few weeks, and I love the fact that it doesn't leave my eyes feeling sticky. The product glides on nice and smooth, leaving the eyes feeling refreshed. The dark circles that were under my eyes actually vanished almost instantly, and it reduced the puffiness to almost non existent. Even though this cream is meant for the eyes, it can be used other areas of the face. I used it around my mouth to help reduce the look of smile lines... now it didn't make them disappear, but it did reduce them a fair amount. 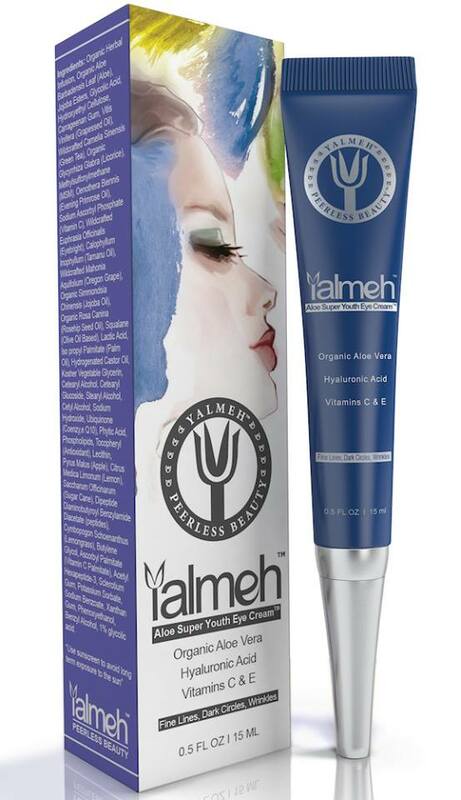 Yalmeh® Peerless Beauty™ company exists as the result of Jacklin Yalmeh’s vision. As a young woman she wanted a more natural skin care regime for her delicate skin. Having tried products from high-end European manufacturers she found some products she liked and some that were not so good. The skincare business seemed to be based on using chemicals on one’s skin. Jacklin felt uneasy applying these to her skin, especially on her face and around her eyes. She also lived on an everyday income, working as an Interpreter for the U.N. High Commission, she couldn’t afford to spend $80 to $90 for each of the products she liked. Several years later, Jacklin moved to the United States. While studying at college, Jacklin was also an artist and writer, publishing children’s books and a Persian cookbook. As she began to test the natural skincare products available, she loved being able to have organic ingredients for her daily facial routine. Realizing that not every product had to be 100% organic to be a valuable ingredient, she began to explore how to combine natural ingredients that were effective and moderately priced. Her rule was: “No toxic products in my brand”. No cancer causing additives, no mineral oil, no sulfates or alcohol, no propylene glycol or paraben were going to be in any of the products she created. Natural, plant based ingredients would be the basis of all the formulations. Finding that there were a few non-toxic stabilizers available, she used these to keep the costs reasonable, thus assuring that women and men of everyday means could afford high quality skincare products to protect and repair their skin. 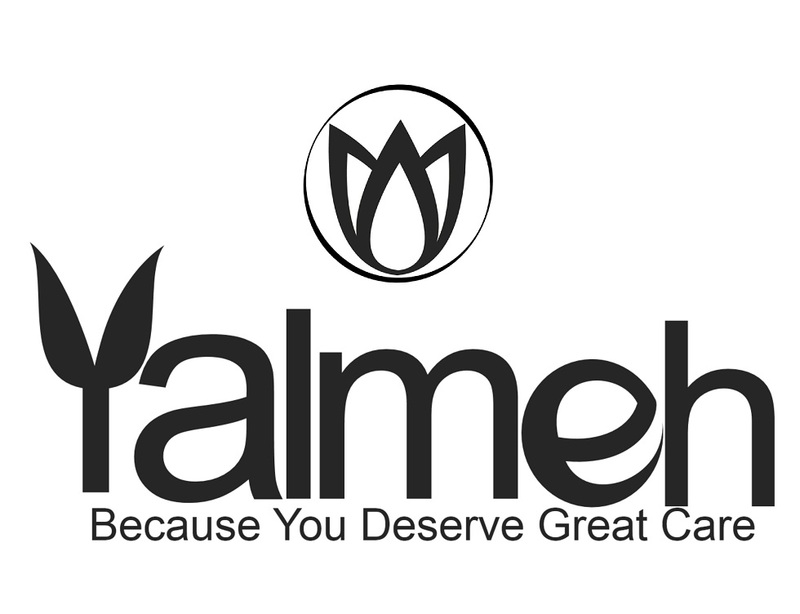 And so the Yalmeh® brand was created. The other thing that Jacklin insisted on was that every customer should be helped if they had any problems or questions. 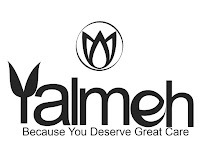 No matter how big or how busy the company was, outstanding, personal customer service was also to be the foundation of the Yalmeh® brand. Today, Yalmeh® is a highly regarded, growing company making their natural skincare products available to their happy customers throughout the United States and Canada, with future plans to expand to Europe and the Middle East.